Whiskey and Waffles | DidjaEat? Over the July 4th weekend, I had a huge order for work. I worked like a fiend the whole time and then a straight 24 hours up until the deadline. 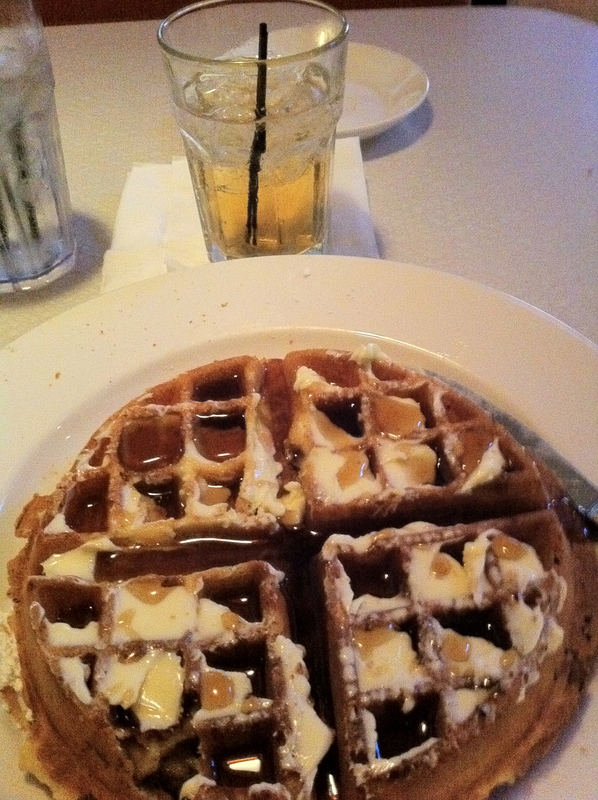 After I dropped it off, I walked over to Darlings Diner and had their Belgium Waffle and a Jameson and Ginger Ale. It really does cure all that ail’s ya! Posted on October 30, 2011, in diner food and tagged belgium waffle, darling's diner, ginger ale, jameson whiskey, philly diner food, piazza at schmidts, waffle. Bookmark the permalink. Leave a comment.